335: After whom is New Year’s Eve sometimes Called Saint Sylvester’s Day? Saint Sylvester was pope during the turning point of the history of Christianity. It was the time of the Roman emperor Constantine, when the Church finally stopped being persecuted by the state authorities. 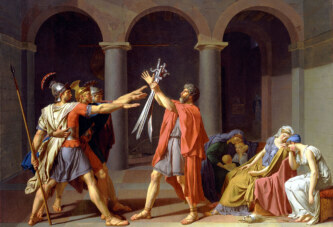 On this day, New Year’s Eve is celebrated to commemorate the death of St. Sylvester, who was pope during the turning point of the history of Christianity, immediately after the Emperor Constantine issued the Edict of Milan, which allowed the Christians to practice their worship on the area of the Roman Empire. At that time, therefore, the Church went from being persecuted to being legal, or indeed an institution supported by the emperor. There is very little reliable information about Pope Sylvester, but many legends exist. 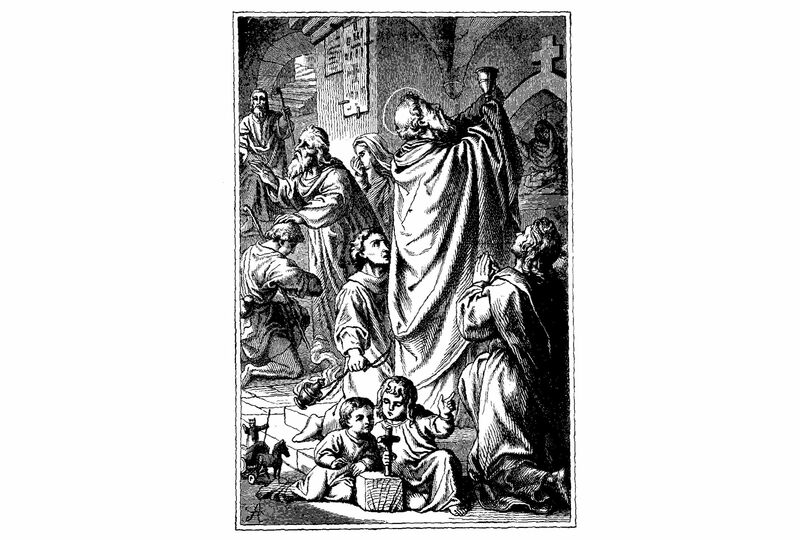 According to medieval oral tradition, St. Sylvester cured Emperor Constantine of leprosy with baptismal water. In gratitude for the healing, the emperor walked before Sylvester’s horse like a servant, leading his horse by the reins. According to some legends, he even offered the imperial crown to St. Sylvester, but he refused, returning the crown to Constantine. The emperor then moved to Constantinople, leaving the Rome to pope. The message of this legend is that the papal authority is above the state, as emperor owed the crown to the pope, who voluntarily returned it to him.